With its slim width, WorkFit-T is well-suited for converting corner worksurfaces or other tight spaces into standing desks. Simply place the WorkFit-T on an open surface, stand up and you’re ready to work! Stable and secure, simply place the WorkFit-TL on an open surface and you’re ready to work! 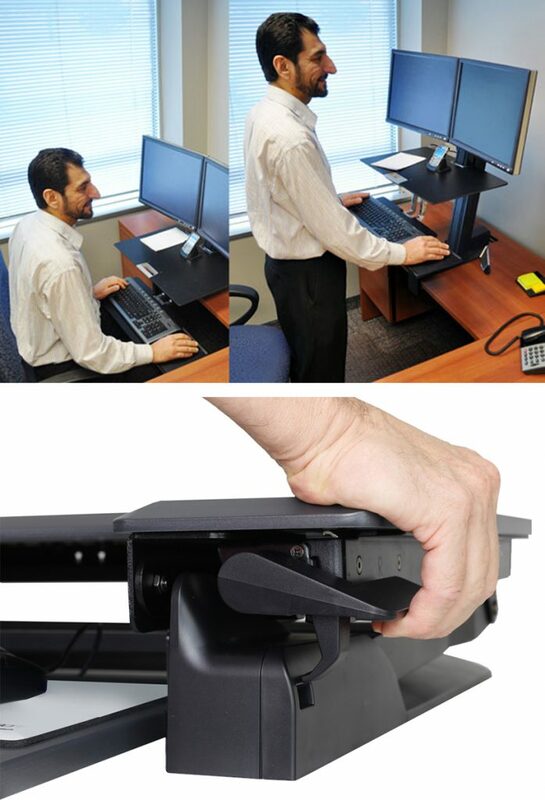 WorkFit-TL features a larger keyboard tray and wider worksurface, the to fit a larger monitor or laptop with room for your office supplies. 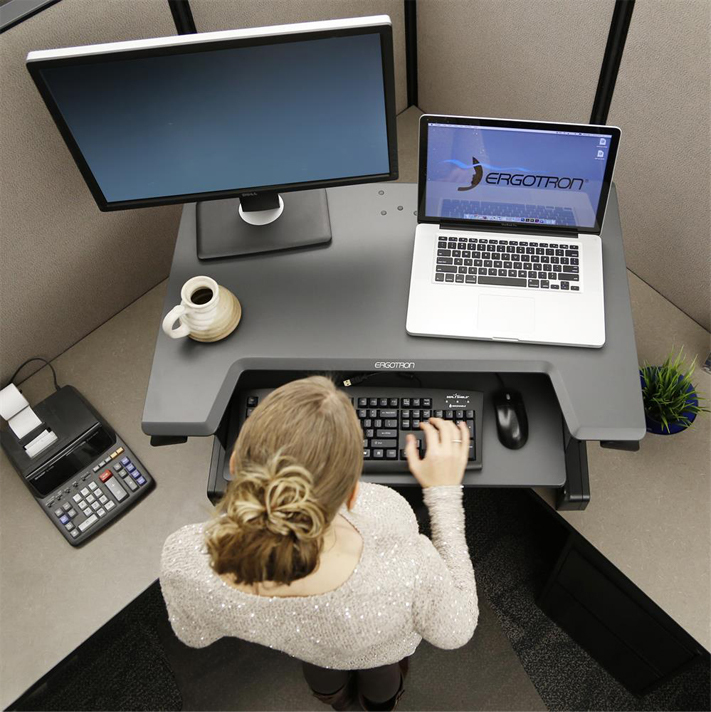 Ergotron standing desk converters are designed to retrofit furniture for sit to stand height adjustment. 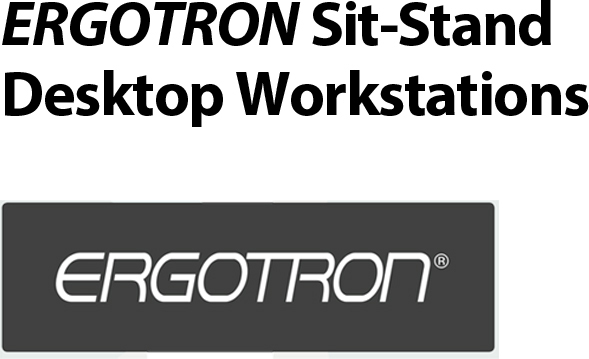 Representing an ultra easy solution, you can quickly convert any tabletop into a healthy sit-stand work-station. 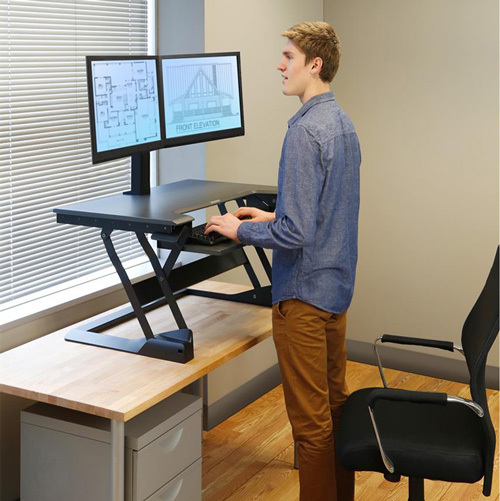 Extremely stable throughout its range of motion, you can freely lean on it while working without worry of tip or height-drop. Always moving straight up or down, the product also stays within the footprint of your desktop savings valuable space.